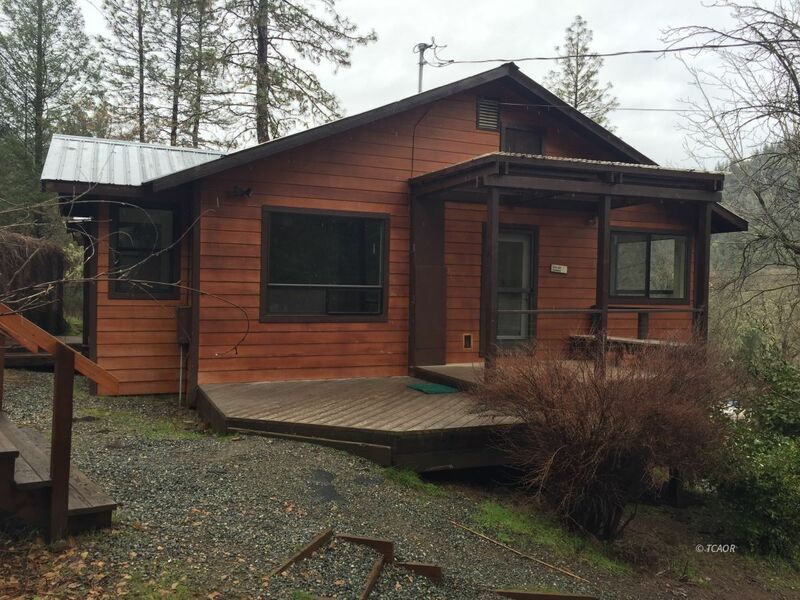 This Property offers the perfect creek side setup! Large pasture is fenced and completely cross fenced. It also has a large fenced Garden Area with plenty of room left over for the critters! A five stall barn with storage, power & water. The homes are on separate electric meters which can help control power usage. The main home is 2 bedroom, 2 bath, 1200 sq. ft. and has been updated throughout with new carpet, real wood flooring, wall oven and counter tops. Outside your will find a Trex deck, landscaping with sprinklers, a 36 X 24 carport with room for RV parking, a 20 X 30 shop with 220V, roll up door & cement floor. A 1,152 sq. ft. guest home, with 2 bedrooms, 1 bath, living room & den gives a great place for guests to stay. This property offers everything you want including the views! All of this on 6.59 acres which backs up to BLM property and has great creek frontage. This property has lots of usable land located in the heart of Trinity County. The owner is providing the paperwork from the waterboard so it should be ready to proceed with county and state permits. The time to move on this is now, this may be the one you have been searching for! Don't miss out!